The Perfect Wedding Day includes the perfect floral backdrop. From the flowers in a bride’s hand to the bridesmaid’s flowers for the Wedding party. It is one of those times when you get one chance to get it RIGHT. 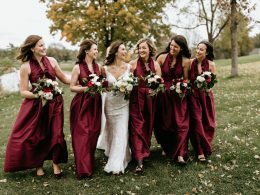 Our wedding floral design team can make that happen for you. We are here to create on your wedding day, what you have been dreaming about for years. Getting started is really easy. Contact our team and set an appointment with us. Your experience will be stress free. We will help you create the vision you want within your budget. Need help planning a budget? We can help with that too. Our team have limited dates available, so the earlier that you can be in contact with us, the better. We limit the dates that we commit to on purpose, so that we can give you what you deserve on your wedding day…our FULL attention. Here are a few tips to make the process much less stressful! We recommend setting up a consultation with one of our designers as soon as you have your venue, colors and dresses selected. With more time, we are able to reduce the stress and create exactly what you have envisioned. Following the steps on our Planning Page will help us help you as well. It is an excellent tool to help in planning your wedding. 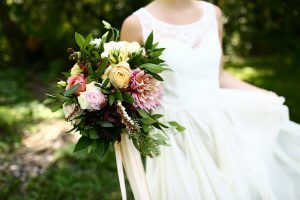 Let’s Start Planning Your Wedding Flowers! Contact our team to schedule a consultation and get the process started. How can we help with your Wedding?